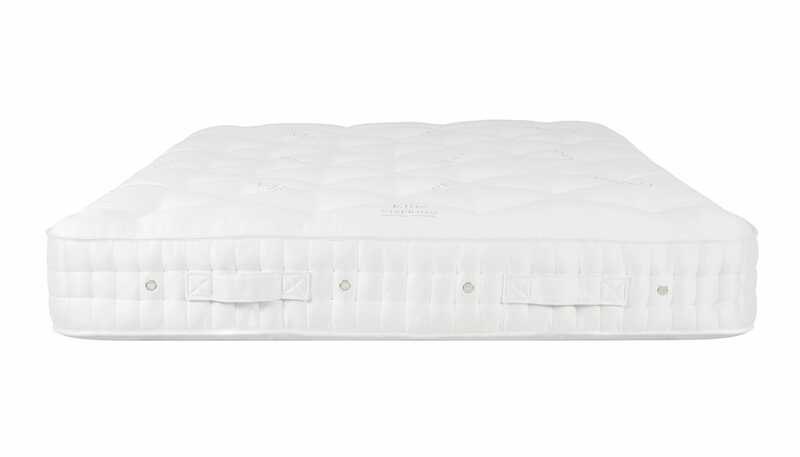 An assurance of comfort, Vi-Spring are world-renowned for their exquisitely crafted pocket spring mattresses. Bringing together all the ingredients needed to produce a comforting divan mattress, the Baronet Superb’s blend of natural horsehair and British fleece wool wicks away humidity to provide a wonderfully fresh feel. Mattress Springs - 1,326 luxury pocket springs in 5’0 (150cm), 1.52mm Vanadium steel springs, 54mm in diameter, sewn in individual calico pockets and hand-formed into a honeycomb-nested unit. Mattress Upholstery - Upholstered with horsehair, needle-teased onto hessian and enclosed in a hair-proof cambric cover. Overlaid with 1,000gsm bonded British fleece wool and cotton and then 1,200gsm blended British fleece wool and cotton. Covered with satin ivory Belgian ticking from the Vispring collection. Hand tufted with felt washers.